South Boston spreads across a peninsula just south of Downtown Boston and east of the South End and Dorchester. South Boston was annexed by Boston in 1804, and the city constructed a bridge linking the neighborhood with the rest of the city the following year. In the mid-19th century, the Old Colony Railroad brought rapid growth to South Boston as the area became a hub of industry, including iron foundries, machine shops, shipyards and refineries, all of which fueled the Civil War effort. Throughout the twentieth century, shipyard, and railroad jobs continued to provide work for South Boston residents, and industrial buildings still mark the northern edge of the peninsula. 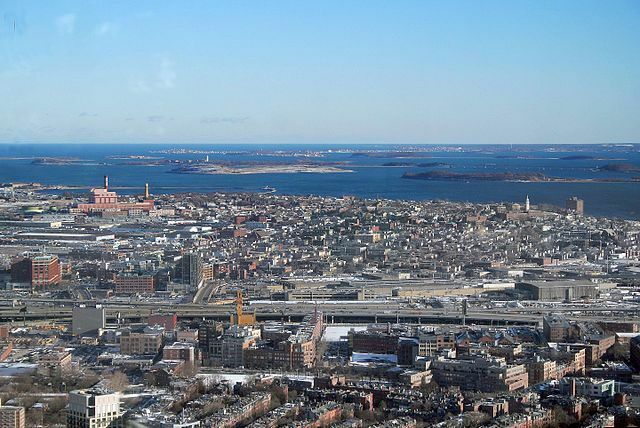 South Boston is home to both long-time residents and a new wave of young professionals who are drawn to the area’s open space, emerging nightlife, and easy access to downtown. The neighborhood boasts miles of beaches and waterfront parks, including Carson Beach, L Street Beach, Pleasure Bay, and the Strandway. South Boston’s commercial district, including established businesses alongside new bars, restaurants, and retailers, is built around East and West Broadway. Newmarket Square, just to the west of Route 93, is a strong center of food processing and distribution and borders Dorchester, Roxbury, and the South End. Considering moving to South Boston? You can search rentals here and sales here.